Tracy's Notebook of Style: Old Navy $1 Flip Flops: THIS Sat + Weekend Sale Round-up! 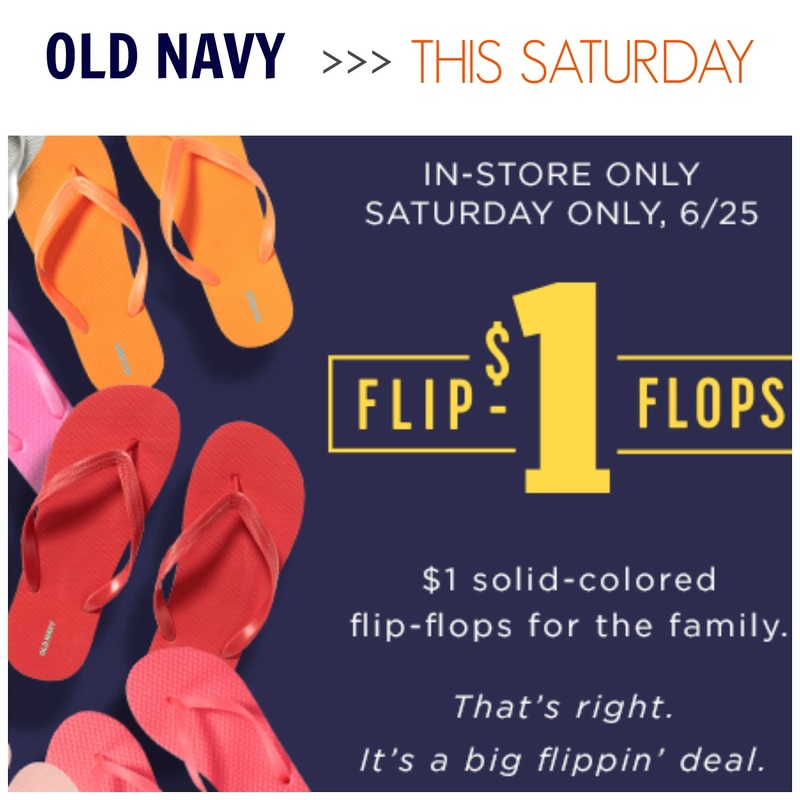 Old Navy $1 Flip Flops: THIS Sat + Weekend Sale Round-up! Busy, busy. After not being online or having my desktop set-up until about an hour ago, I was dying to get back to blogging and didn't want you to miss the annual Old Navy $1 flip flop sale that starts this Saturday in-store only, call your store to verify early openings so you can get a jump start on the deal! Target Buy 1, get one for 50% off women's swimwear in-store and online + BOGO online for women's clothing and shoes and more for the family! Why is everything always on Saturday!?! Ugh.